“The ‘Second Phase’ of the SLP crop residue project has begun in Ethiopia and Bangladesh and will continue in Zimbabwe and Niger shortly. In this phase of the project, a participatory and collaborative approach is being taken in order to understand constraints faced by farmers and other stakeholders, and to generate knowledge that can inform future action. The work, led by Dr Beth Cullen (ILRI) in collaboration with other researchers from ILRI, ICRISAT, IITA, CIMMYT and local partner institutions, has consisted of presenting highlights from survey work to farmers from selected villages in each of the sites of the SLP crop residue project. Basic graphs were prepared to help farmers visualize the results and these acted as a starting point for further discussion. Topics covered included: cropping patterns, crop residue use and competition, feeding strategies and livestock productivity, impact of technologies such as fertilizer, improved seed, herbicide and pesticides, income sources, mulching and soil fertility, access to information and extension services. Discussions with farmers helped to probe these subjects in more depth in order to better understand dynamics of crop residue use and decision making processes at farm level. This process has generated important qualitative information which will be used to fill gaps in the quantitative data collected so far. 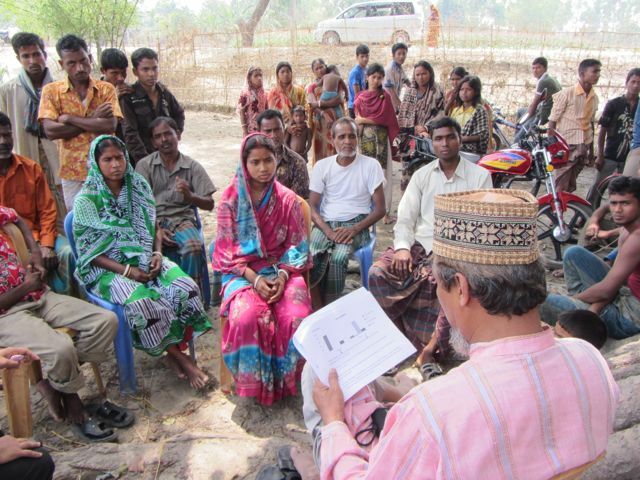 Dr Elahi Baksh from CIMMYT discussing survey results with farmers in Bangladesh (photo: Beth Cullen). After in-depth conversations with researchers about the results, farmers were asked to think about their plans and visions for the future. They were presented with four options: intensification, diversification, specialization and out of farming. Farmers voted for their preferred future option and were asked to explain the reasons for their choice. Choices were influenced by factors such as livestock numbers, land size, access to markets and roads. Farmers were then asked to brainstorm the main constraints they face, to prioritize these constraints, identify root causes and potential solutions. Challenges varied from village to village, but consistent themes also emerged. At the end of the exercise farmers expressed thanks to researchers for feeding back the survey results and for involving them in further discussion. After working at village level a stakeholder workshop was arranged to bring together experts including crop and livestock experts from local agricultural bureaus, extension coordinators, local extension agents, staff from national research centers, researchers from local universities and NGO representatives. Farmers from selected villages were invited to join the discussions, they valued being part of the process from start to finish as well as the opportunity to engage in dialogue with other stakeholders. Results from the survey and farmers feedback were synthesized and presented to stakeholders for their comments. Stakeholders were then invited to consider three key challenges and identify technical, institutional and policy options for improving livelihoods and ensuring longer term system sustainability. 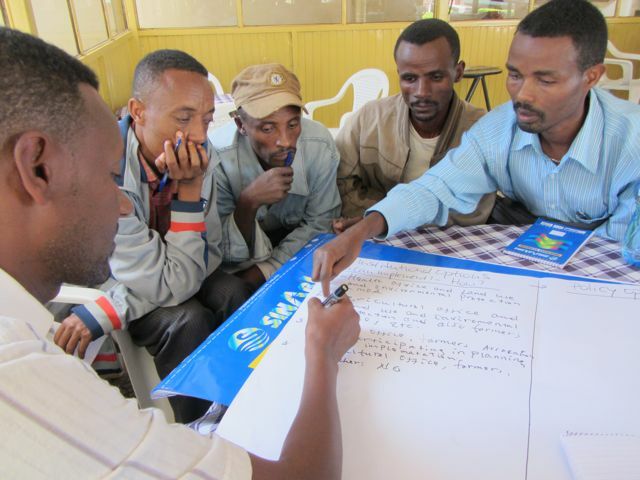 A group of stakeholders working together to identify ‘TIPs’ in Ethiopia (photo: Beth Cullen). The combination of qualitative and quantitative approaches and exchanges between researchers, farmers and other stakeholders has yielded valuable results. These results will be communicated in a series of reports and briefs to policy makers, researchers and the various partners and stakeholders involved in the research. SLP researchers will also consider how the collaborative research process and the findings could help to inform and be integrated into ingoing research, particularly the new CGIAR Consortium Research Programs (CRP’s)”. The CGIAR Research Programme on Maize (MAIZE) wants to extend its current partnerships to capture a wider range of innovative ideas, increase the quality of the research, and integrate the skills of the most able and well-connected members towards their Vision of Success. “The challenge is to generate agricultural growth that produces enough food, ensures it is accessible to all, is inclusive of the most vulnerable and is resilient, and hence able to withstand the increasing multiple stresses and shocks that afflict the world. Resilient markets that enable farmers to increase production and generate income through innovation and taking risks, while ensuring food is available at an affordable price. Resilient agriculture that creates agricultural growth out of knowledge and innovation, while simultaneously building the capacity of smallholder farmers to counter environmental degradation and climate change. 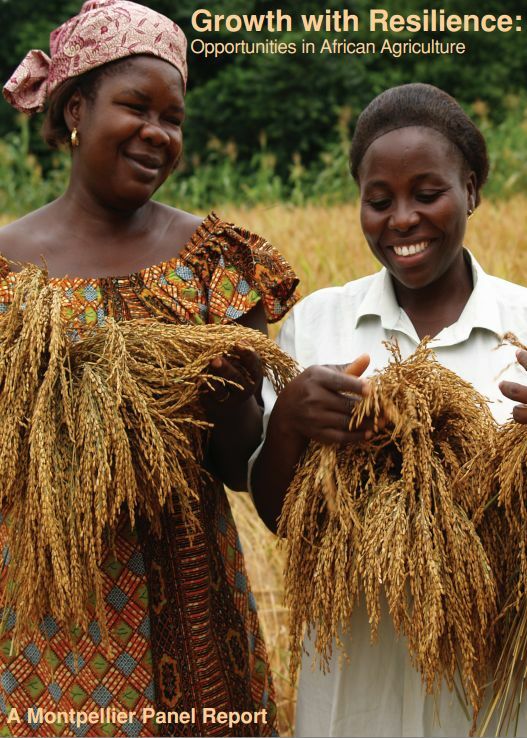 Resilient people who are able to generate diverse livelihoods that provide stable incomes, adequate nutrition and good health in the face of recurrent stresses and shocks. To achieve these goals we will also need political leadership that demonstrates the necessary vision and will”.